5. Click Browse button and select a location where the MP4 file will be saved. Write a file name and add .mp4 extension at the end of the file name. Press Save button. You will be returned to Convert window. 7. 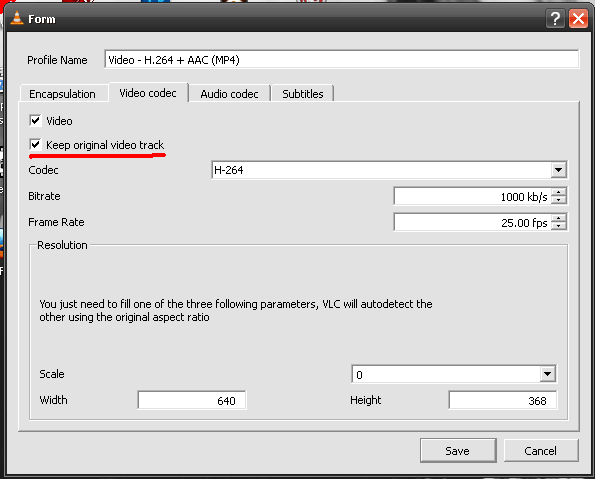 Go to Video codec tab and check Keep original video track checkbox. Go to Audio codec tab and check Keep original audio track. The other parameters (bitrate, framerate etc.) don't matter since the video and audio streams will be copied. 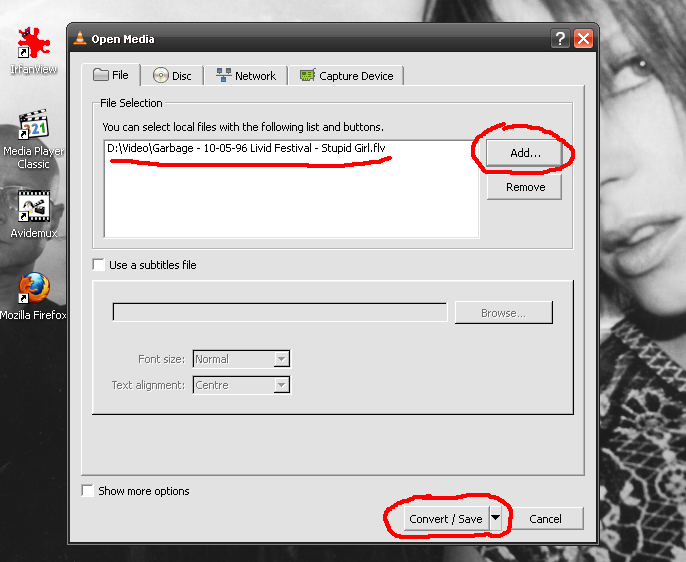 Finally click Save button. You will be returned to Convert window. 8. Click the Start button from the bottom of the window. Wait for VLC to create the MP4 file and check the result. 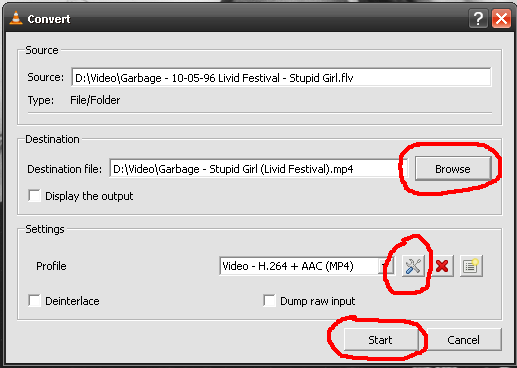 Close VLC and repeat the process for every FLV file. NOTE: After you followed these steps first time, the next time you can skip the steps 6 and 7 because the settings are saved.